UConn projected that the share of Connecticut residents ages 60 and above will grow by 44 percent between 2013 to 2025. With these shifts in population, communities are tasked with implementing “age-inclusive” policies, providing for the needs of all citizens regardless of age or ability. 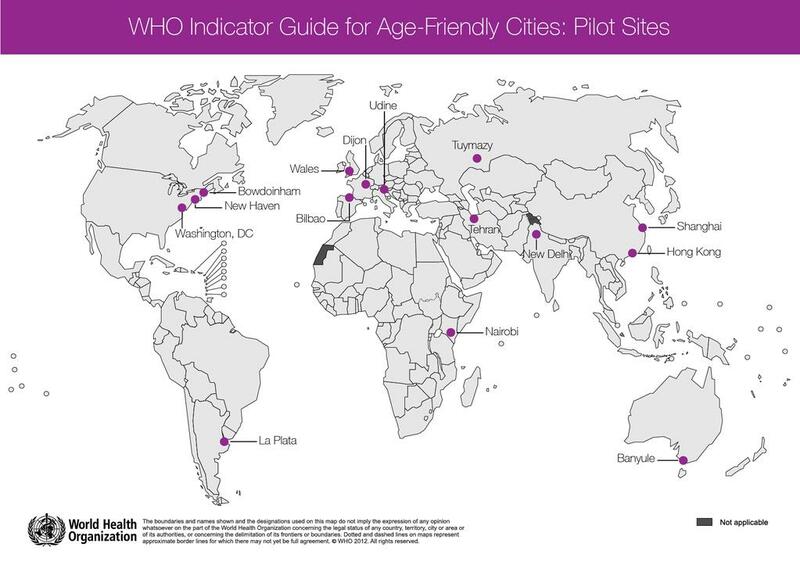 With support from Connecticut’s Legislative Commission on Aging, Connecticut Community Foundation, and Connecticut Council for Philanthropy, DataHaven was one of 15 organizations worldwide selected by the World Health Organization (WHO) to assess local “age-inclusiveness,” based on a variety of indicators related to transit and community design, community life, health and basic needs. DataHaven presented findings from its report at a WHO conference in Geneva in June. The study, authored by Mary Buchanan and Mark Abraham with assistance from Connecticut’s Legislative Commission on Aging, revealed that overall, Connecticut communities are supportive of their growing older populations. Specifically in Greater New Haven, 80 percent of older adults surveyed said they were satisfied with where they live. One of the ways in which the study assessed age-inclusivity in the state was by gauging the level of community and civic engagement in the older population. In the Greater New Haven region, over 90 percent of surveyed older adults were registered to vote, indicating strong civic engagement. However, the region’s older population was significantly less involved in other aspects of community life such as volunteerism or attending cultural events. The disengagement was even more pronounced with considering the region’s lower-income older adult population. While rates of voter registration were similar for low and high-income older adults, lower-earning respondents were even less likely to participate in alternate forms of community engagement than their higher-earning counterparts. Close to 20 percent of low-income older adults attended cultural events compared to over 40 percent of the higher-earning respondents. Nonprofit and government organizations in Connecticut that are committed to improving livability across the lifespan in the state’s communities and neighborhoods can also use international strategies to supplement their work. At the WHO conference, representatives from other pilot cities around the world shared ideas and approaches specific to their own countries that may be applicable to New Haven and other Connecticut cities. For example, representatives from Fishguard and Goodwick in Wales highlighted the need to connect younger and older adults in order to improve perceptions of safety within the community. A program in Fishguard and Goodwick sought integration by ensuring that younger adults were represented within workshops on age-inclusive community design. Pilot cities in Iran, China, Spain, and Argentina each stressed how access to local-level data on issues like transit access and sidewalk quality empower local residents of all ages to advocate for changes that would improve their neighborhoods.